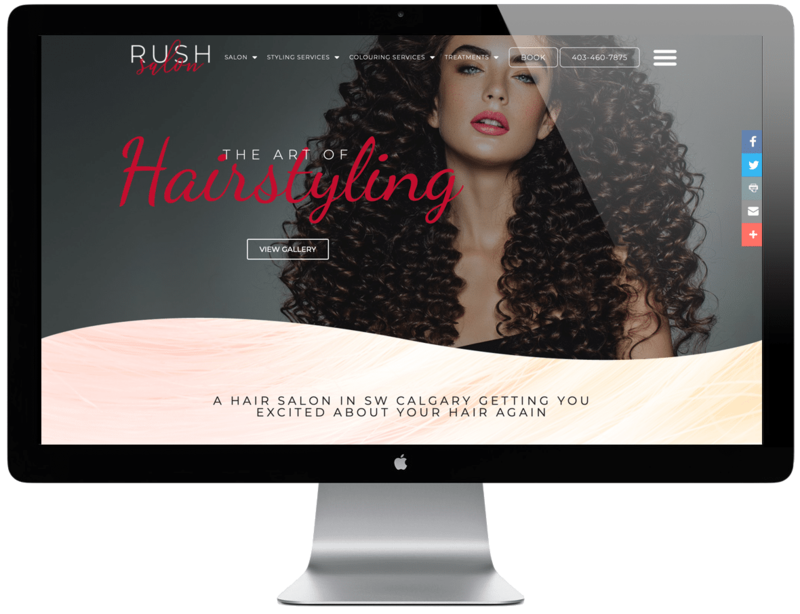 Rush is a sleek and modern hair salon in Calgary. 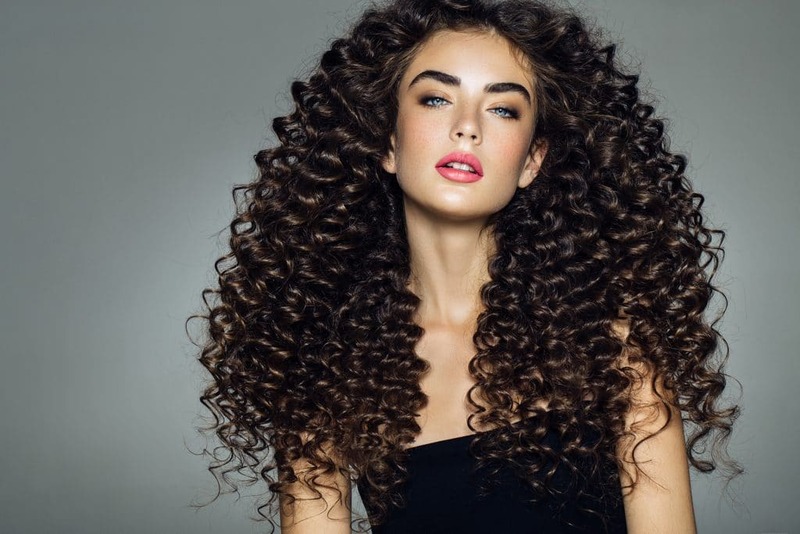 They offer deluxe hair services such as Kerastase, Olaplex and keratin hair-smoothing treatments as well as premier hair colouring. Rush does balayage and ombre colour like no one else. In addition, they also do full hair colour, wedding and special occasion hairstyles, and quality haircuts for men, women and children. 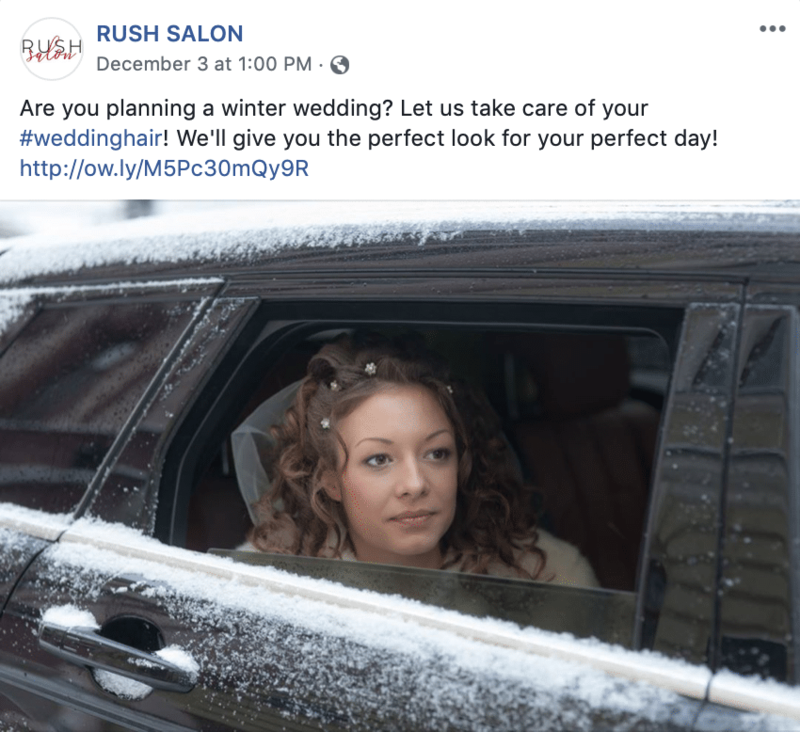 As a full-service salon offering unique high-class services, Rush was not experiencing the business they expected to see. Their previous branding did not adequately highlight and accentuate the range of their services; so Rush came to us needing a website that would give their clients a more straightforward, informative, and overall enjoyable experience as well as marketing to match their distinctive brand. Just as the stylists at Rush are professionals in their industry, we are experts in ours. 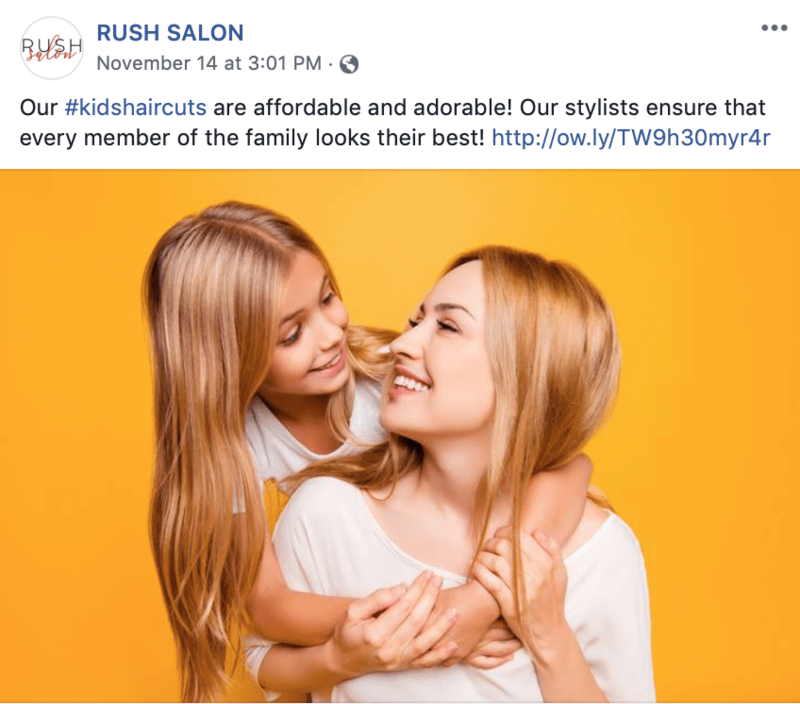 We were able to transform the marketing efforts to effectively portray Rush as the contemporary, five-star salon that it is. The work done for Rush Hair Salon included revitalizing the brand and logo. Our designers maintained the sleekness of the old logo’s dark, contrasting colours while adding modernized accents and stylistic fonts. The balanced neutrality of the black is brought to life by the accentual red tones, and the cursive font makes for a classy, modern and more feminine aesthetic. 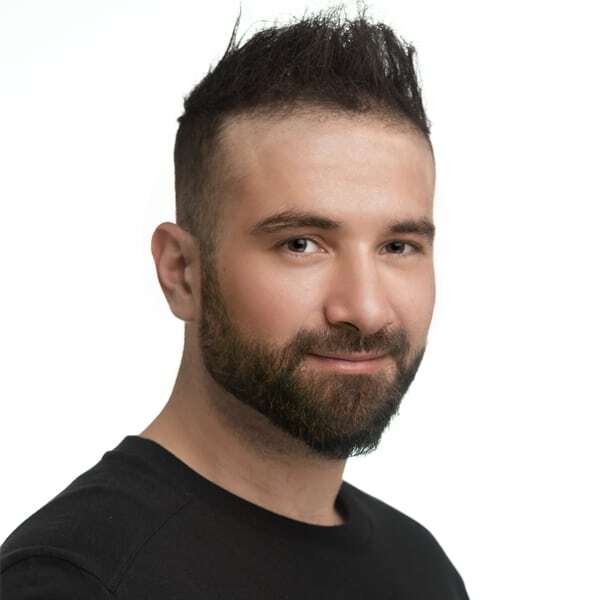 The new design better reflects the company’s image as a stylish, high-class salon that caters to a targeted demographic of women looking for a quality haircut. 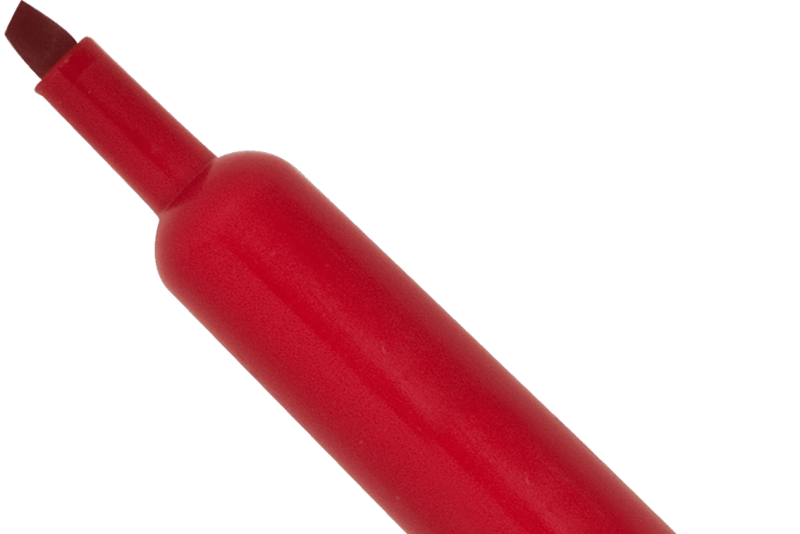 The new website is an indication of the company’s excellence and versatility. Not only is the custom design targeted specifically to the clientele, but the site is also high performing and effective. The landing pages are fully optimized based on SEO best practices, and together with advanced keyword mapping and crosslinking, the site ranks with a higher organic search result positioning. The website has seen an increase in visitation of over 1000%, going from 0 – 1,200 visits per month. We’ve also optimized the viewing experience to be responsive on both mobile devices and large screens. Rush understands the need for a streamlined user-experience when it comes to high-traffic websites, and we helped them to create just that. The site was designed with the customer in mind to be as convenient and versatile as possible. Not only does it integrate a seamless booking system, but it also includes more information about each service, and straightforward navigation through the comprehensive site menu. Rush came to us looking for more leads via online bookings and in-house phone calls. 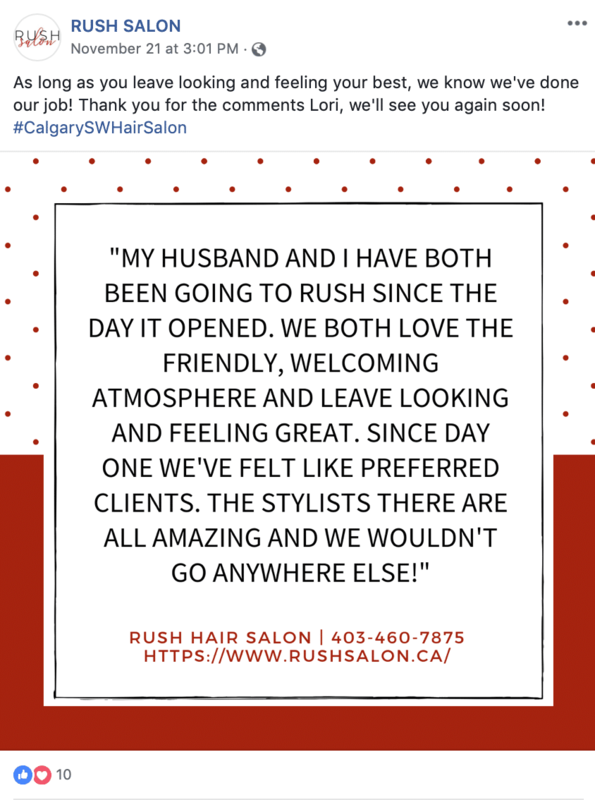 We are proud to say that, in the span of only eight months, we have seen the number of bookings for Rush Hair Salon go up by over 400%. 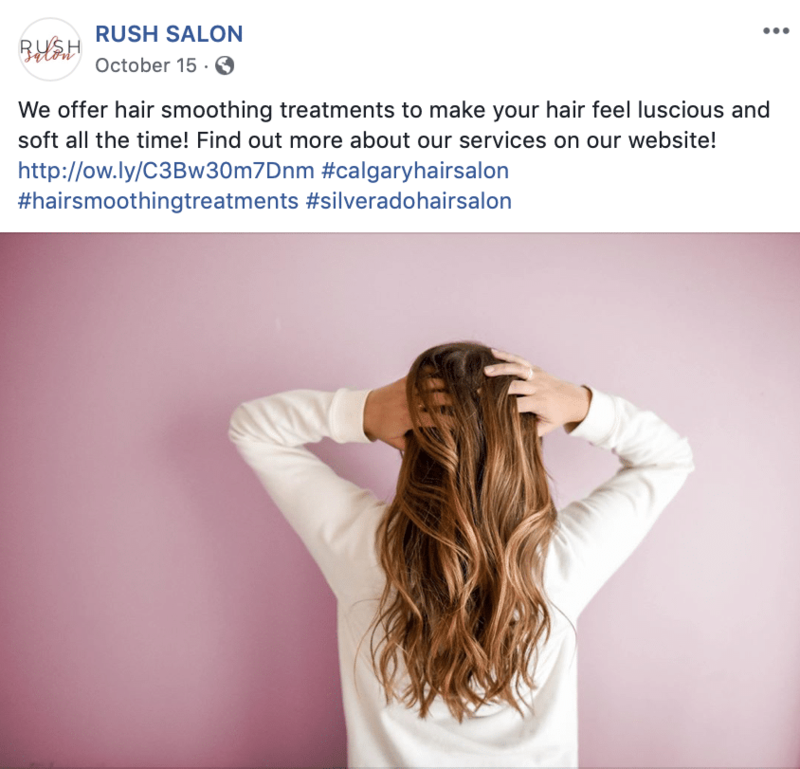 We launched a Google Adwords campaign for the company that focused on targeting individuals within a 4-mile radius who were searching for hair services; these campaigns alone account for approximately 15 leads per month. We continue to promote and optimize the Rush brand through social media marketing and advertising. Our top designers have created stunning social ads, and each week, we support SEO and branding through stimulating posts on various social media profiles. We help to facilitate connection and communication through organic like building, customer engagement, and interactive postings. Through the use of hashtags, engaging graphics, and industry-related shares, we’re able to promote a positive and consistent image for Rush. Since teaming up with GrowME, our business has grown substantially. Operating your own business is challenging; trying to find time to manage your website and social media is a full time job on its own. The team at GrowME has taken that part of my business and transformed it into something I couldn’t imagine. Our business looks professional and appealing for anyone looking for us, it has brought in tons of new business, and has attracted new clients to pick us first when looking for the services we provide. We highly recommend GrowME for anyone looking to bring out the best in their business!